If you operate an approved occupational pension scheme, a Pension Board (PB) reference number will have been created for you during the registration process. This number should be entered on the payroll submission to Revenue, in order to allow prospective retirees to track pension entitlements from different employments during their careers. 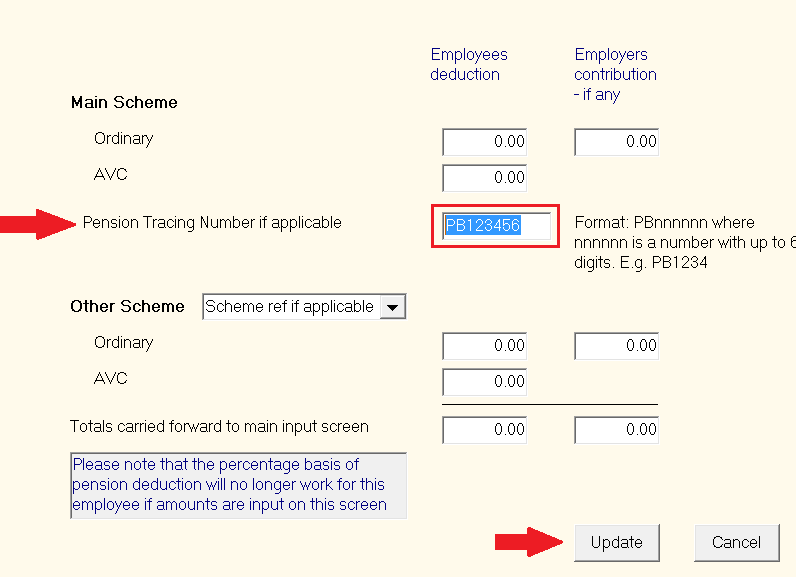 The Pension Tracing Number will now be included for that employee on the payroll submission to Revenue going forward. Repeat the above steps again for subsequent employees for which a Pension Tracing Number applies.